The Internet of Things (IoT) has evolved from a futuristic business buzzword and can be unleashed with potential. With evolving technology landscape, "Internet of things" is getting smarter, therefore more companies are incorporating AI (like machine learning, deep learning, genetic algorithms, advanced learning) with IoT applications to generate much-advanced output. The fast ability to wring data makes AI more valuable. This has made, most of the giant organization, excited to pour hefty investment, AI is sure to bring the sensation in the field IoT. IoT App Development Company conceiving innovative strategy are looking forth to traverse the role of AI to bring the best of it. Increase in the Venture capital funding of AI-focused IoT startups can be witnessed. Acquisitions of AI-focused IoT startups is expected to boom. As per Gartner, more than 80 percent of enterprise IoT projects will be in the market by 2018 and will include AI components, up from only 10 percent today. Large organizations across industries are already leveraging or exploring the power of AI with IoT to deliver innovative solutions and products ( offerings that make the operation more productive and efficient). In general, IoT is defined as the network of physical devices capable of sending and receiving data across the internet. This comprises wearables and mobile devices, medical devices that are connected, smart home appliances, and the sensors. The connected things can be interconnected into an ecosystem in which they interact with one another and with decision agents via the internet or a private network. However, the real opportunity for innovation comes when things are intelligently connected when the data is fed into an AI-based algorithm for autonomous decision-making and machine learning. 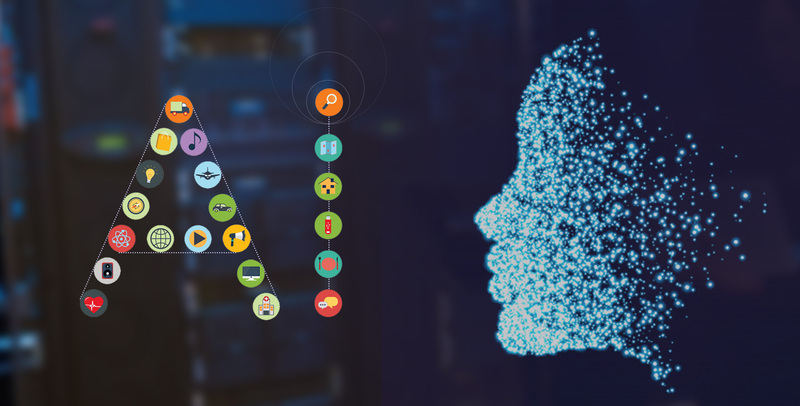 In order to gain new insights from the interconnected things, applying AI to IoT will improve relationship allowing cognitive engines for more natural interaction. Artificial intelligence technology plays a growing role in IoT applications and deployments. Both investments and acquisitions in startups that merge AI and IoT have scored higher, since a couple of years. Major vendors of IoT platform software exploring prospects to integrate AI capabilities such as machine learning-based analytics. IoT App Development Company, expecting to present revolutionary services and application in the near future. And of course, it will be among the biggest outcome created merging IoT and AI. Further, most of the standalone businesses will undergo reinvention to become part of integrated networks. Source IBM - the spending on the IoT worldwide to hit approx $772.5 billion in 2018, a 15 percent increase over 2017. Much of that spending will come from enterprises. 66% of executives are now comprising IoT into their operating models, according to a recent study by the IBM Institute for Business Value. Artificial Intelligence plays a crucial role in making IoT applications much more advanced and deployments. Further, taking into account the investments and acquisitions in startups integrated with AI and IoT, there has been a remarkable growth. The major vendors, Mobile Application Development companies and IoT platform software are endeavoring to integrate AI capabilities such as machine learning-based analytics. Machine learning - an AI technology, that takes the ability and competence to automatically distinguish patterns and detect oddities in the data that smart sensors and devices generate - (information such as temperature, pressure, humidity, quality of air and etc). Generally, when we compare traditional business intelligence tool with machine learning, it was clear that the operational predictions gained by ML were up to 20 times fast with great precision. Other AI technologies like speed recognition or computer vision play a crucial role in extracting from data into a useful piece of information, which requires a huge effort from a human. Sectors like industries manufacturing, oil, and gas and other similar, the unplanned downtime results in equipment breakdown, which is a costly affair. The predictive maintenance using the analytics benefits to figure out equipment failure before downtime, which can be utilized to schedule maintenance procedure. clearly, this showcase, how the power of AI and IoT coupled, can be utilized to restore the damage occurring in economics. Machine learning makes it possible to identify the pattern in the constant stream of data to predict equipment failure. For instance; in its survey, Deloitte found predictive maintenance very useful to manage the time to plan maintenance, i.e. 20-50% (this means that the equipment uptime increased and the availability by 10-20% and reduced overall maintenance costs by 5-10%). No doubt, the AI-powered IoT is aiding operational efficiency. Similar to machine learning prediction, AI also helps in shaping the operational condition and also allows to identify the parameters required to the streamline the ideal condition. This done by crunching constant streams of data which is highly impossible for a human. Upgrading IoT with Ai will directly help to create new products and services. With the advancing time, Natural language processing is getting better with the constant human-machine interaction. For instance; the AI controlled drones and robots are new opportunities for monitoring and inspection. Moreover, if we talk about fleet management - it is reinvented via AI, this can monitor every possible data point, which helps to reduce unplanned downtime. For instance; Cloudera claims 40% cut downtime for fleet vehicle monitored by Navistar device. Today, we can see a number of useful applications created pairing IoT with AI and helps organizations to understand and predicts a variety of risk, enabling automated and rapid response like manage workforce safety, financial loss and etc. If you are also planning to implement IoT-based solutions, we highly recommend you to proceed with AI-based internet of things services. Please fill in the form with your specified requirement.